After five years of civil war, egregious violence against civilians, and seemingly countless failed ceasefires, politicians are celebrating the latest round of South Sudanese peace and security agreements. Today, President Museveni of Uganda and President Bashir of Sudan will be in the spotlight at the celebrations in South Sudan’s capitol, Juba. The two leaders played an important role in brokering the revitalized peace agreements and now, they are making a bid for inclusion of their troops within the United Nations peacekeeping Mission in South Sudan (UNMISS). Accepting Ugandan and Sudanese troops into the ranks of the peacekeeping Mission would be a mistake that would significantly undermine the Mission and expose civilians to harm. It matters which troops are deployed to a peacekeeping mission. Putting aside the incredibly concerning human rights records of Uganda’s and Sudan’s security forces, their long-time involvement in South Sudan raises two equally important concerns. In countries like South Sudan where government security forces are a major perpetrator of violence against civilians, peacekeepers are one of the few actors that can offer protection to civilians—but peacekeepers need the will and credibility to do so. In the eyes of South Sudanese civilians, the impartiality and credibility of Ugandan and Sudanese troops is compromised by their governments’ past support of parties to South Sudan’s war. Moreover, because of the political alliances of their governments, Ugandan and Sudanese troops would be unlikely to take robust action against the parties to the conflict in order to protect civilians. Impartiality is one of the core principles on which peacekeeping was founded. 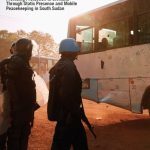 It is what distinguishes peacekeeping troops from parties to the conflict and allows peacekeepers to maintain access and consent for their presence from all actors. It is also crucial to maintaining the trust of the population. When civilians do not trust a peacekeeping mission, they stop interacting and sharing information with the mission, and without vital information coming from engagement with the population, a mission cannot protect itself, protect civilians, or achieve its mandate. South Sudanese civilians are acutely aware of the politics in their country and region. In displaced person camps where families shelter in makeshift tents without reliable sources of water, people are still well versed in the latest news stories on South Sudan circulated through social media outlets. Any mention of Uganda or Sudan in these camps will either stir up anger or words of appreciation. That is because when civil war broke out in South Sudan in 2013, Uganda and Sudan took sides. In 2013 as fighting erupted, Ugandan troops entered the capital and fought alongside government security forces of primarily Dinka ethnicity against opposition soldiers from the Nuer ethnic group. While South Sudan’s civil war is rooted in a political power struggle between the president, Salva Kiir, and rival politicians, violence by the parties to the conflict has largely been committed against the civilian population along ethnic lines. A recent report funded by the United States Institute of Peace estimated that the conflict has been responsible for 383,000 civilian deaths, including 190,000 people killed in violence. Uganda has continued to provide support to government troops since the outbreak of the civil war. The Sudanese government, for its part, has been providing weapons and supplies to Riek Machar’s opposition group. Both Uganda and Sudan have been far from impartial actors in the violence of South Sudan’s civil war. 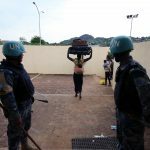 If Ugandan or Sudanese troops are deployed under the blue helmets of the peacekeeping Mission, regardless of their actions once deployed, their very presence would undermine the Mission in the eyes of many South Sudanese people. 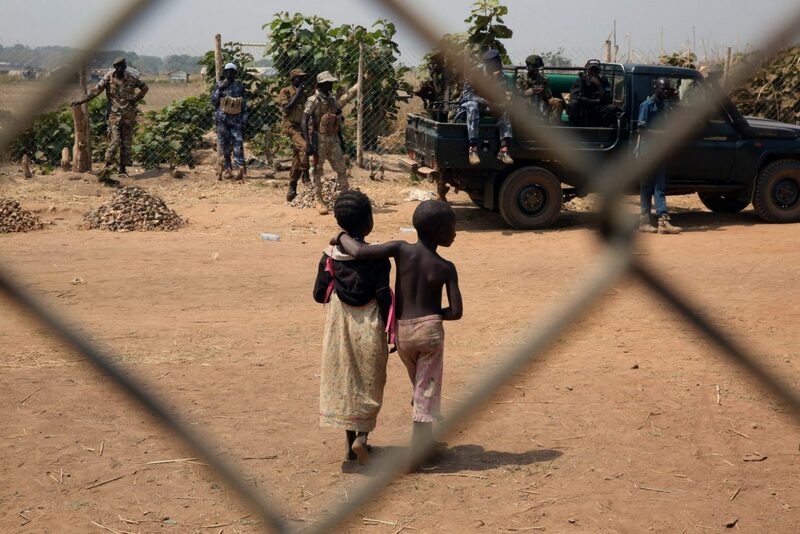 In addition to undermining the credibility of the Mission, there is good reason to believe that Ugandan and Sudanese troops would fail to protect civilians at risk of attack from the forces in South Sudan with whom their governments are aligned. The success or failure of peacekeeping missions to protect civilians often depends on the willingness of its troops to take rapid and pro-active action when a threat to a civilian population emerges. Although UNMISS troops are authorized to take immediate action to protect civilians under threat of violence, because the Ugandan and Sudanese governments have political ties to South Sudan’s warring parties, they will likely avoid any robust action by their troops on the ground against their allies or, at least, delay action while they seek guidance from their respective capitals. Some regional troops from countries with political and economic ties to South Sudan are already deployed to UNMISS. Ethiopian soldiers currently serve in the Mission and, in the past, Kenyans did as well. However, none of the troop-contributing countries has been so deeply or problematically involved in the conflict as Uganda and Sudan. If the UN needs additional personnel or specific military assets in UNMISS, it should look elsewhere, even if generating troops is not an easy task. The regional Intergovernmental Authority on Development (IGAD), which led the recent peace revitalization process, has endorsed Uganda’s and Sudan’s drive to have their troops included in UNMISS. That is no surprise. Uganda and Sudan are, after all, two of IGAD’s prominent member states, and they stand to gain financially and politically from participation in the peacekeeping Mission. IGAD has taken a concerning additional step related to UNMISS: the body has been pushing for a larger role in reviewing and revising UNMISS’s mandate. Greater consultation with regional actors on the role of peacekeeping missions and peace processes can help ensure that peacekeeping operations are relevant and reflect political realities. However, granting regional actors too large a role in shaping UNMISS’s mandate will likely lead to a weaker mandate in relation to the protection of civilians. 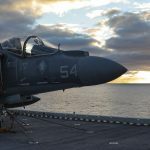 That is because regional countries are sometimes more concerned with reinforcing state sovereignty and their political influence in neighboring countries than they are with saving civilian lives on foreign soil. Last week, on October 22, IGAD military leaders met in Khartoum to discuss the mandate of UNMISS and deployment of their troops into its ranks. A Sudanese news outlet reported that the military chiefs established a joint working group on the issue. Uganda and Sudan seem set to quietly but resolutely push forward their agenda. This bid should draw widespread attention and urgent opposition. It would set a dangerous precedent for UNMISS and other peacekeeping missions that would be difficult to walk back, even if it proves a misstep. There is cause for hope in South Sudan as politicians converge on Juba to celebrate the latest revitalized peace agreements. But these celebrations may be premature. Violence between South Sudan’s armed factions has not stopped just because ink was put to paper in Juba. Protection of civilians by an impartial actor like UNMISS is still desperately needed. As South Sudanese opposition leaders fresh off the battlefield return to the capital to begin implementing the agreements they have signed, tensions between the long-time rivals are more likely than ever to rise and violence flare. Allowing the deployment of Ugandan and Sudanese troops to UNMISS now would handicap the Mission at a time when it needs to be more prepared than ever to respond robustly to violence against civilians. 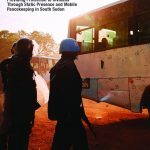 What Next for UN Peacekeeping in South Sudan?